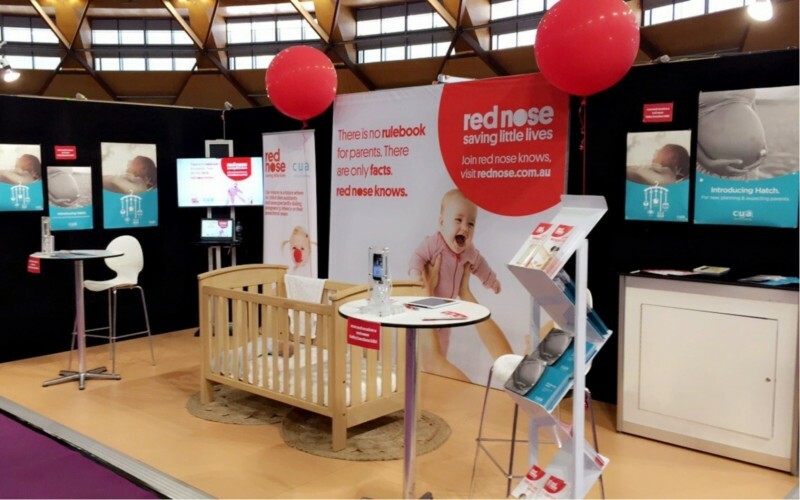 ​Visit Red Nose at the Pregnancy & Newborn Special Expo in Sydney this November. Babies and young children spend a lot of their time sleeping, so it’s vital they are slept in a safe sleeping environment to reduce the risk of SIDS and fatal sleeping accidents. Red Nose provides evidence-based community education programs and supports world class research. Since introducing our safe sleeping campaign in 1990 we have reduced the risk of SIDS and sleeping accidents in Australia by 85%. There is no rulebook for parents and carers. But there are facts. And that’s the only thing we are interested in. Red Nose, along with our mission partner CUA, will be at the Pregnancy Babies and Children Expo with all your information on safe sleeping, safe wrapping, tummy time, and cot to bed safety, plus information on our safe sleeping eLearning programs that you can complete from the comfort of your own home. Qualified educators will be on our stand all day, demonstrating safe and unsafe cot set-up, safe wrapping, and how to dress baby for the temperature. Visit us at stand number H15. Join our educators daily in the Active Parenting Workshop Space for a Beginners Guide to Safe Sleeping workshop. Register for FREE until 9 November. On the day it will be $20 entry per person age 14 and over. Visit the official Expo website here. With thanks to our mission partner CUA.